Accidents happen in the blink of an eye! That’s why these glasses objectively measure eyelid movement at a rate of 500 times per second. 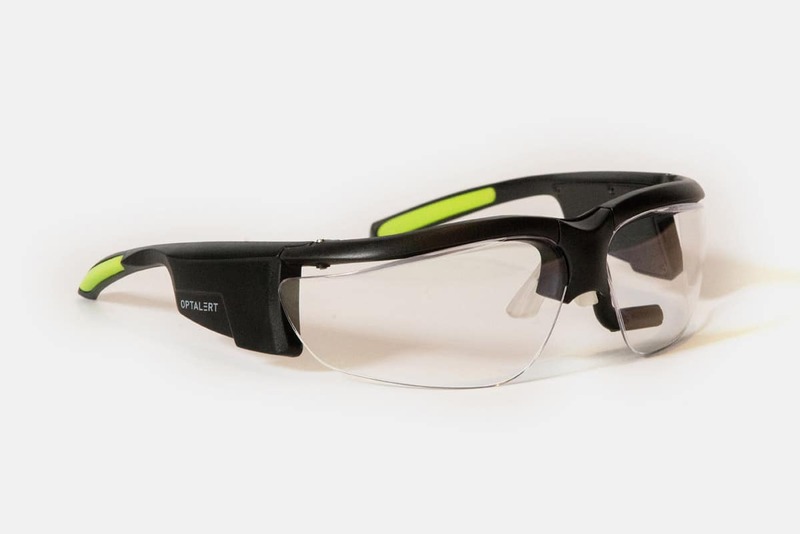 Optalert’s drowsiness detection glasses work by measuring the velocity of the operator’s eyelid 500 times a second using a tiny invisible LED built into the frame of the glasses. Core to the success of our wearable technology are two key measurements tracking the amplitude velocity ratio—essentially measuring how fast and how far a person opens their eyelid after they close it. These are translated into a score measured on the Johns Drowsiness ScaleTM (JDSTM), which the operator sees displayed on their indicator or processor positioned in the cab. Protecting your assets, to work, at work and home from work from. Like to know more?….. The lightweight frame architecture of the Optalert drowsiness detection glasses provides comfortable all day wear. An interchangeable lens design lets operators choose the right colour to suit any driving condition, including at night. Scratch resistant polycarbonate lenses come in three colours and offer UV protection complying with the American National Standards Institute’s ANSI Z87.1-2003 “Occupational and Educational Personal Eye and Face Protection Devices”, and Australian/New Zealand Standard AS/NZS 1067:2003 “Sunglasses and Fashion Spectacles”.